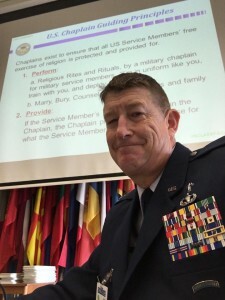 John W. Schumacher, Ph.D., Chaplain (Colonel) USA, Ret., Chaplain Endorsing Agent, Fellowship of Grace Brethren Churches, has sent a report to the Eagle Commission, the group that encourages and prays for Grace Brethren military chaplains around the world. He is winding down his ministry in this role. 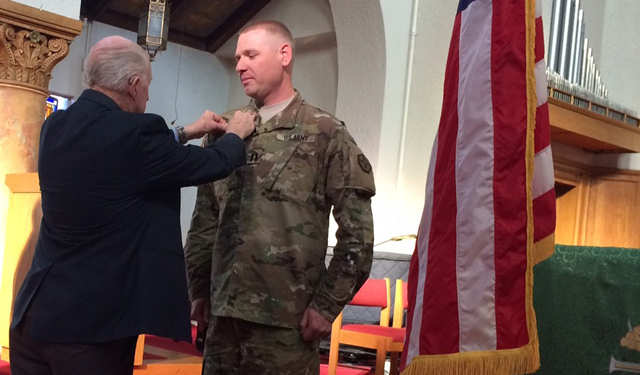 Effective June 1, Chaplain Mark Penfold will assume the duties of endorsing agent when he retires from active duty. We have just celebrated Valentine’s Day….a celebration of human love. We know that there is no greater love than God’s love for us, but we are, also, so thankful for the love you demonstrate for our chaplains and their families through your prayers for them and your giving to the Eagle Commission. For that we are thankful! I attended my last yearly Endorser’s Conference in January in DC, and while there, Martha and I were privileged to have a wonderful meal at the home of CH Youstra and Rose. In our last EC letter, I mentioned that CH Hayes was deployed on sea duty. He came home in December and was in DC with his family for a short vacation, so he and his family were able to join us, too. Chaplain Youstra delivered a briefing to The Organization for Security Cooperation Europe on the role of chaplains in war and peace. Just a note about CH Youstra….he has just returned from Europe where he delivered a briefing to The Organization for Security Cooperation Europe on the role of chaplains in war and peace….in the Hofburg Imperial Palace in Vienna. Congratulations, George, on this opportunity to represent the chaplaincy and, we feel, the FGBC, too! 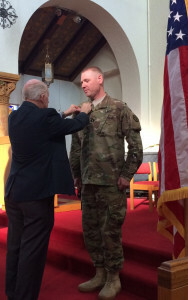 Col. Schumacher participates in the ceremony of Chaplain Jonas Winbolt to be promoted to captain. Later in January, we were at JBLM (Joint Base Lewis McChord), WA, where I had the privilege of taking part in a ceremony for CH Jonas Winbolt to be promoted to captain and, also, be brought onto active duty. He is now assigned there, and he and his family are already settled into quarters on base. We were able to see and enjoy CH Murray and his sweet family. We had quite an energetic time with their three children and the four Winbolt children!! Sean and Teresa Dennerlein. Sean is on active duty in the infantry and has been accessioned into the chaplaincy candidate program. 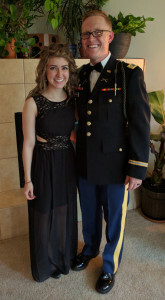 While we were at JBLM, we were able to meet and spend time with Sean and Teresa Dennerlein. He is on active duty in the infantry but wants to be a chaplain and has just been accessioned into the chaplaincy candidate program. He will be going to Princeton Seminary in the summer to prepare for eventual active duty as an Army chaplain. They have many details to work out, and they would appreciate your prayers for them these next few months as they prepare to go to NJ for the next step in their call to the chaplaincy. Early in February, we were at the FGBC Fellowship Council meeting in Seal Beach, CA, where I gave a report on the status of our chaplains and the ministry they are doing. While there, I was able to interview a pastor who is interested in the chaplaincy and just needed to talk and ask questions. Since returning home, I have heard from him that he and his wife feel that God wants them in the chaplaincy. He is fully qualified but will have to go through the application process necessary for the military chaplaincy. Please pray for them as they have many steps to take on the way to that goal. We will be going to Ft. Jackson, SC, early in March to be at the retirement ceremony for CH Penfold. He has been serving for thirty years and, as of June 1, will be your next Chaplain Endorser. Please pray for Mark and Robin as they make this major transition from active duty to retired status, move to a new location and begin a new chapter in their service for the Lord.